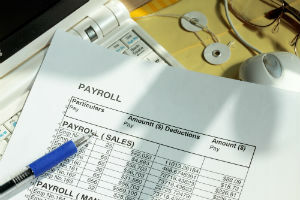 It is difficult to anticipate the benefits of taking your payroll online. This was a challenge faced by one of our recent customers where the HR department found it challenging to estimate the ROI derived from implementing an online Payroll software. This blog describes some of the benefits analyzed and presented to the senior management such that critical purchase dollars were allocated for the procurement. The exercise which started as a small initiative actually helped me dive deeper into how a CFO or CEO perceive their human resources department and what are their expectations from an HR platform. What I will share here is a small part of the study in how organizations are managing their human capital assets and the challenges being faced versus what are the best practices in using paperless payroll. In this, I will share what are the different metrics and how can organizations save costs in this critical area. For each of these steps above, there are multiple sub-processes which may take substantial effort and time. b. Number of Employee Validation Errors seen during the year for time records which will require corrections and authorizations at multiple employee levels. d. Time for removing a terminated employee from the payroll system. c. Number of manual checks disbursed. Once these metrics were identified, we studied the impact of these metrics in manual processing vs processing using an online payroll software such as EmpXtrack. The example below refers to the results for a mid-sized organization with approximately 1,000 employees across multiple locations. The results are the total time spent in one year for processing monthly payrolls. The analysis of the above data gave an unimaginable saving of costs to the tune of $150,000 per year which is much higher than the cost of acquisition of the payroll services offered by a software such as EmpXtrack..
1. No need to print payslips. Employees can view their payslips online and these are emailed automatically as well for their records. 2. Minimum payroll related queries post processing. Allows the accounts/HR to complete many more important tasks. 3. Minimum impact when salaries change. Update at a single place is reflected automatically. This avoids reprocessing of payroll. 4. Low impact when new employees are added. For example – for a multi-locational organization with distributed hiring, it becomes difficult to process payroll for new employees. 5. Minimum impact when employees quit. 6. Integration with time reporting systems saves costly mistakes and reprocessing time. 7. Automatic updates to tax tables when the need arises. 8. Archiving of Payroll data for statistical analysis in respect of different employee types. To analyze the ROI for your company, please contact us. We will be happy to analyze your payroll process and guide you to take your payroll online, at no obligations, and suggest areas where improvements can be carried out.